We are open every day 6am – 4pm! 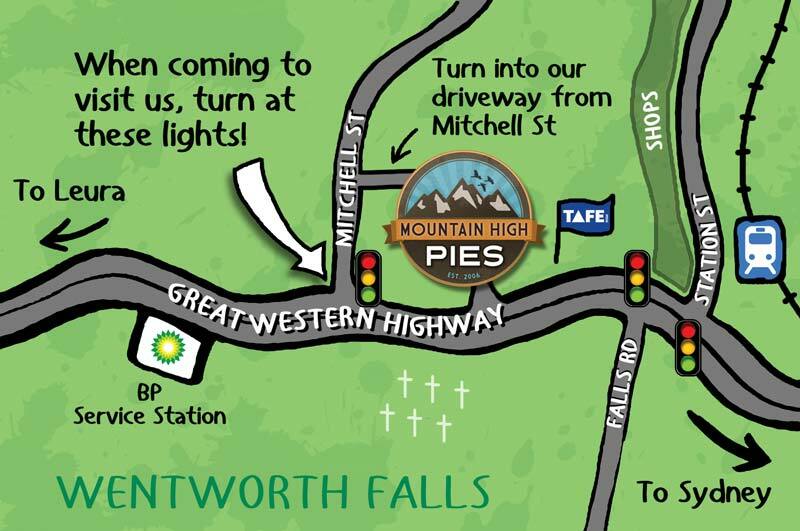 Mountain High Pies 293 Great Western Highway Wentworth Falls NSW 2782. Ph: (02) 4757 3737. 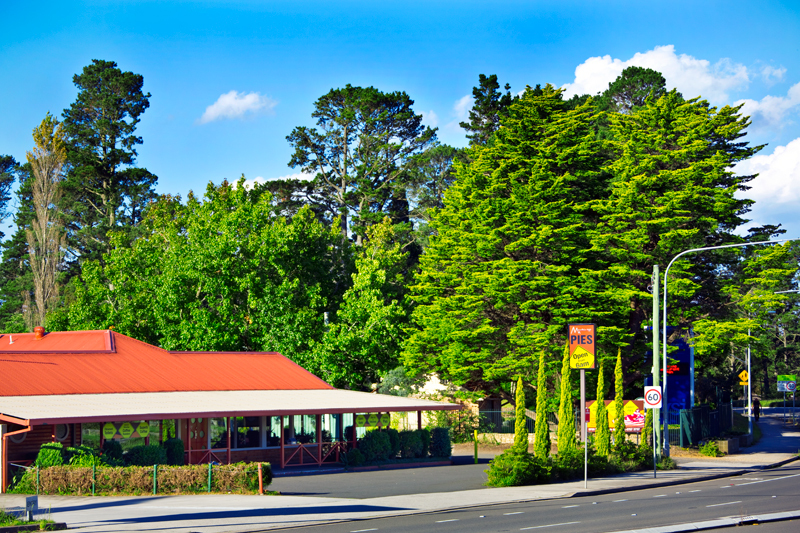 When travelling East towards Sydney, we’re on the left as you pass the Mitchell Street traffic lights about 1km BEFORE the Wentworth Falls Shopping Village. When travelling West away from Sydney, we are about 1km AFTER the Wentworth Falls Village Shops. Turn right at the traffic lights into Mitchell Street and we have a driveway entrance into the shop.